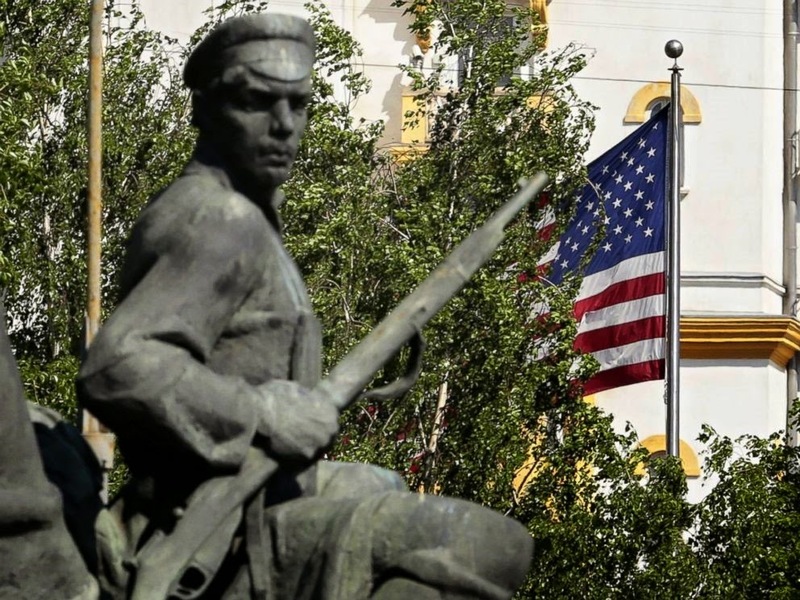 We'll see what comes of this if and when it becomes law, but a bill has been introduced that would require the U.S. Embassy in Moscow to replace most of its locally engaged staff - i.e., Russians - with U.S. citizens. Requires the Secretary of State to ensure that every supervisory position at a U.S. diplomatic facility in the Russian Federation is occupied by a U.S. citizen who has passed, and is subject to, a thorough background check. Directs the Secretary to submit to Congress a plan to further reduce the reliance on locally employed staff in such facilities. The U.S. Embassy in Moscow, just like all other embassies, employs local people to do all kinds of labor and non-sensitive administrative work. That practice has some obvious security implications, but, do we really need to replace the locals with American citizens? Americans cost a great deal more than locals, especially since you need to provide their housing and pay for their travel and support. Is the gain in security worth the extra cost? In fact, is there actually a gain in security? Experience says there is not. We replaced the local employees of U.S. Embassy Moscow with Americans once before, back in that great Cold War year of 1985, AKA, the Year of the Spy. How did that work out for us? Members of Congress and State Department officials have long debated the wisdom of employing Soviet citizens. The State Department has defended the practice, on the ground that Soviet citizens have no access to American secrets. 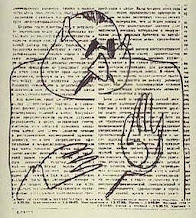 But, according to an intelligence official, the advisory panel found that Soviet citizens are ''so pervasive throughout the embassy'' that by watching and reading available materials they can gather sensitive information. Secretary George "Shultz, who had originally supported [Ambassador to Moscow] Hartman, finally came to the conclusion that the political heat was too great and that the substitutions had to be made." Running an embassy or consulate without [local employees] was a lot of hard work, particularly in the Soviet Union’s "deficit economy", where basic necessities like food plus hygiene, medical, and office supplies all had to be imported. The U.S. press focused on the poor, poor American diplomats who, boo-hoo, suddenly had to clean their own homes and offices. That wasn’t the half of it. All travel arrangements now had to be made by language-qualified officers, and the rule of thumb was that it took one day of preparation before and one day of paperwork after travel for each day on the road. As springtime approached, ice began to thaw and the U.S. Government responded to our needs, finally. DoD was the first, sending a half-dozen Army drivers to chauffeur the Ambassador and drive our trucks (until then, first Ambassador Hartman and later Ambassador Matlock had been driving themselves in an armored Opel sedan). The omnibus contract was let and the first PAE [Pacific Architects and Engineers] contractors appeared in April. Heat was restored to the chancery and new telecommunications equipment was installed. Having American citizens do the embassy's driving and laundry and maintenance and repair work cost much more than employing locals, but at least it eliminated those security vulnerabilities that had so bothered Senator Leahy, right? The use of Russians inside the compound had been criticized by officials in the Administration and in Congress as a potential breach of security. Among those who reportedly had argued for ridding the mission of Russians was Jack F. Matlock Jr., then President Reagan's special assistant for Soviet and European affairs and now Ambassador to Moscow. Mr. Hartman and officials in the State Department had defended the practice on the grounds that the Russians provided valuable and inexpensive service and that they were an identifiable and therefore manageable security risk. Critics of the [old] embassy employment policy now cite the seduction of a Marine guard by a Soviet employee, who then reportedly used the tryst to infiltrate agents into the building … On the contrary, the officials said, the incident supported their contention that American workers brought in to replace Soviet employees could prove a greater risk because they would be untrained and unprepared for the pressures of duty in Moscow. Nine of the contract workers brought in to replace Russians, they noted, have already been sent home for unspecified security violations. So, the American service workers with low level security clearances whom we hired after 1985 were no more disciplined and security-conscious than the Marine Security Guards who had earlier gotten themselves into such trouble over Russian women? I'm putting on my surprised look. Really, couldn't Senator Leahy have seen that coming? 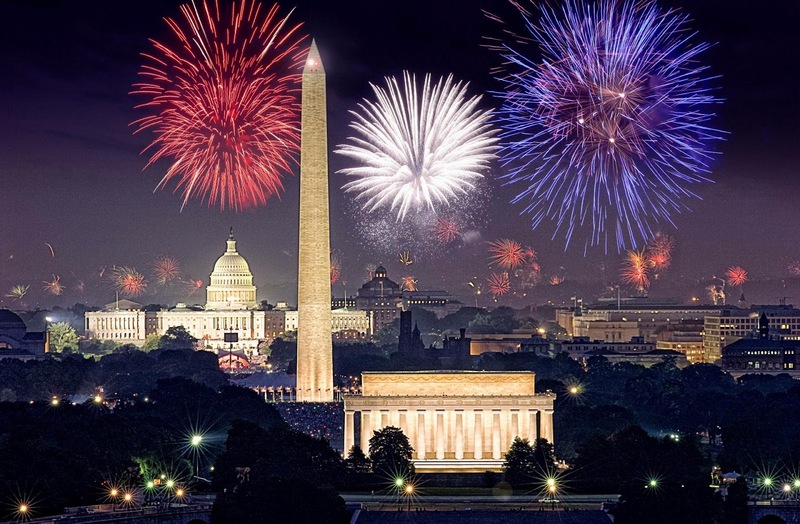 We gave up on the All American employment policy in 1993, and the embassy hired local Russians once again, as it has done to the present day. 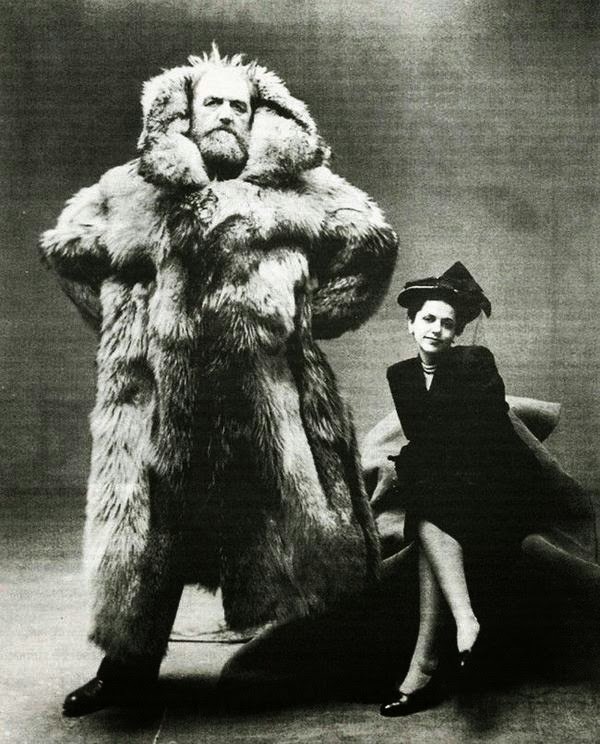 I have disputed [that there are security benefits to using U.S. citizens in place of local employees] in the past saying that going to zero Soviet employees brings in added risks, you are going to have to bring in young Americans whose ambition is not to be in Moscow for intellectual reasons to learn more about the society, but it's another place to make money. These people will be subject to pressures by the Soviets as we've seen with the Marine cases and eventually somebody will be recruited. Now people say to me that if you hadn't had Soviets on the site to sort of see who was vulnerable, then these people wouldn't have been picked up; well that shows a total ignorance of what goes on in Moscow. You fire all of the Soviet employees and one of the first ones I fired by the way was the barber, a wonderful old lady who did nothing but pump the Marines and pump everybody else as to what was going on, and I fired her early on. Well, Marines need haircuts so they go off to the hotels and very charming young ladies do the barbering in hotels, so contacts can be made. There is no substitute for picking mature people who will not get themselves into these problems and watching them all the time and building systems to keep these people from getting out of hand. I find his reasoning persuasive. Will it improve security in Moscow today if we send over newly-hired fresh meat for Russian intelligence services, put them and their spouses and kids in housing all over Moscow, and have them interact with Russians in their daily lives of work and travel, recreation, medical care, social functions, and so forth? Is that exposure to hostile intelligence services really all good just because those American plumbers and electricians, unlike the Russians they replaced, have personnel security clearances? I agree with Ambassador Hartman's philosophy. Let’s dispense with the security clearance games for American employees and simply use Russians for those service jobs, so we may frankly acknowledge that they are security threats and then handle them accordingly. Meanwhile, if you're looking for one of those embassy jobs, you might start here. Has Representative Jason Chaffetz heard about this yet? Well, watch this space for his overreaction when he learns that the U.S. Secret Service has given him wonderful material for his next oversight hearing on White House security. The New York Times ran a story last Friday about the practice of using untrained and inexperienced volunteers to drive some of the vehicles in Presidential motorcades. That should not come as a surprise to insiders, since it's a longstanding practice. The Obama administration even made one former motorcade van driver it's National Security Council spokesman (true story). Nevertheless, it is an absolutely crazy thing to do. Presidential motorcade security 'packages' involve many different professional players from police agencies, as well as the U.S. Secret Service, all performing high speed maneuvers. Putting amateur drivers anywhere in that mix is like letting football fans run around on the field during an NFL game. All great fun until somebody gets hurt. Volunteers with no special training are a link in the middle of the fastest, and highest-profile, chain of vehicles in the country. They are cheaper than the Secret Service personnel or local police officers who surround them on the road. And their cargo of lowly staff members and reporters is apparently less precious. The White House declined to comment on the practice. The Secret Service defended it, saying it has been standard since at least the 1980s. 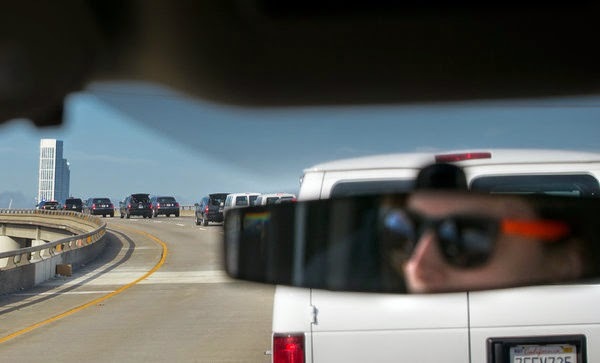 Volunteer drivers “are briefed by the Secret Service agent responsible for the motorcade prior to any movements” about what to do in case of an emergency, like an attack, a spokesman for the agency said. But Ms. Tyson [a 24-year old student] said in a telephone interview several weeks after she drove in the motorcade that she had received little instruction from the Secret Service about what to do in the event of a high-speed emergency. She assumed that she should just follow the car in front of her no matter what happened. Some security experts said the practice was troubling. Not only could the volunteers cause an accident — and they have — but they are sandwiched between the president’s limousine and the Secret Service ambulance, so neophyte drivers could create complications and delays in an emergency. Dan Emmett, a Secret Service agent from 1983 to 2004 and the author of “Within Arm’s Length: A Secret Service Agent’s Definitive Inside Account of Protecting the President,” said he considered volunteer drivers like Ms. Tyson, who read her family therapy textbook between stops, a national security threat. “You are face to face with a young person who is just completely full of themselves and enthralled,” Mr. Emmett said, recalling the years when he was part of the motorcade’s counterassault team that traveled in vehicles in front of the volunteers. Her FB post "got so many likes you wouldn't believe it"
It may be a security disaster waiting to happen, but it's also a wonderful source of Facebook material and such for the volunteers, who are reimbursed for their work by getting a handshake with POTUS and all the selfies they can take. 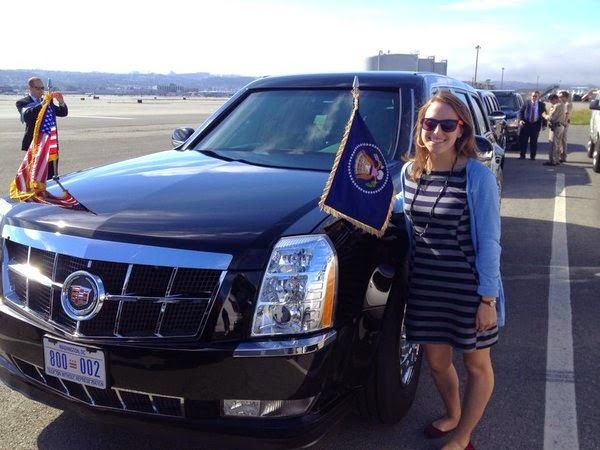 A word of warning about selfies in front of the President's limo. The NYT noted that a security guard at the Centers for Disease Control headquarters in Atlanta lost his job when he took a photo of the Presidential limo. White Privilege alert! Evidently, what is permitted a grad student with a friend who works in the White House is not permitted a black man with a blue collar job. Something tells me that the highly quotable Ms. Tyson will be cited in a House Oversight and Government Operations Committee hearing someday not far off. Some say that Die Hard is a Christmas movie. But I prefer the story of George Washington's troops crossing the Delaware on the night of December 25, 1776, and taking the bayonet to three regiments of Hessian mercenary troops in Trenton. On Sunday, President Obama told CNN's Candy Crowley that he is "going to do everything I can to close" the detention facility in Guantánamo Bay, Cuba. Then, on Monday, the news broke that his Special Envoy charged with negotiating detainee transfers from GITMO is resigning. The resignation may or may not be due to disagreements with the Defense Department, as the New York Times speculated, but I don't suppose it bodes well for Obama's plan to close GITMO by transferring the remaining detainees to other countries. Even worse, last Thursday the State Department announced that it has designated a Saudi national named Ibrahim al-Rubaysh, a former GITMO detainee who had been repatriated to Saudi Arabia in 2006, as a heavy hitter al-Qa'ida leader who is currently active in Yemen. The Department of State has designated the Egyptian Ajnad Misr group, and Ibrahim al-Rubaysh, an al-Qa’ida in the Arabian Peninsula (AQAP) senior leader, as Specially Designated Global Terrorists under Executive Order (E.O.) 13224, which targets terrorists and those providing support to terrorists or acts of terrorism. Ibrahim al-Rubaysh is a senior leader of AQAP, a designated FTO and Specially Designated Global entity. He serves as a senior advisor for AQAP operational planning and is involved in the planning of attacks. He has served as a senior AQAP sharia official since 2013, and as a senior AQAP sharia official, al-Rubaysh provides the justification for attacks conducted by AQAP. In addition, he has made public statements, including one in August 2014 where he called on Muslims to wage war against the United States. In addition, since October 14, 2014, Ibrahim al-Rubaysh has been subject to a five million dollar Reward for Justice [here]. Executive Summary: Detainee is assessed as n Al-Qaida member who traveled to Afghanistan intent on training for jihad in Chechnya, but stayed and joined the Taliban. Detainee stayed in Al-Qaida guesthouses and attended that group's Al-Farouq terrorist training camp. He participated in hostilities in Tora Bora. Detainee is also linked to known Al-Qaida members. It is assessed this detainee is a MEDIUM risk, as he may pose a threat to the US, its interests and allies. JTF GTMO determined this detainee is of MEDIUM intelligence value. Despite that assessment, we released Ibrahim al-Rubaysh just a few months later. Why be in a hurry to release a detainee who was an AQ member captured while escaping from Afghanistan, and who might pose a future threat to our interests? Beats me. Maybe someone was overcome with emotion after reading his sappy poem "Ode to the Sea", which was published by the University of Iowa Press. O sea, give me news of my loved ones. Were it not for the chains of the faithless, I would have dived into you, And reached my beloved family, or perished in your arms. And it goes on from there, a real tear-jerker about how the cruel Caribbean Sea was keeping him captive far from his loved ones. Don't feel too sorry for poor Ibrahim. After the U.S. government unchained him in 2006, he left his beloved family behind in the Kingdom of Saudi Arabia when he fled to Yemen to rejoin al-Qa'ida. This experience with al-Qa'ida's poet-planner is bound to kill whatever appetite Congress may have had for further detainee releases. 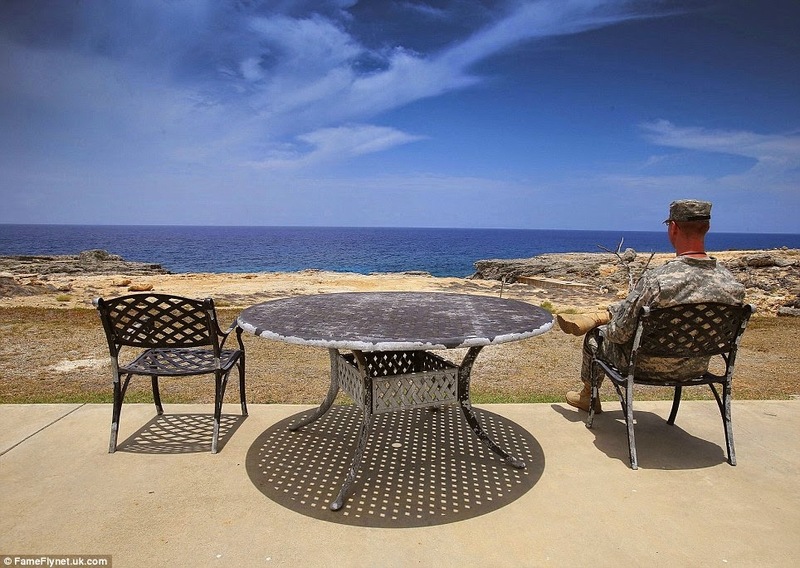 Will Obama actually close GITMO in his final quarter? Don't bet on it. Fifty years before we had the Department of Homeland Security, we had a Federal Civil Defense Agency that was charged with promoting measures to protect the civilian population in the event of an attack on the United States. No one under 60 would remember this, but we used to have bomb shelters in schools and other public buildings - sometimes in backyards - and did duck and cover drills between math and English classes. Ah, wonderful memories! And so, back in the '50s, major entertainment figures such as Bob Hope, Art Linkletter (who maybe needs an intro today), and Groucho Marx made public service announcements about what you should do in the event an atomic bomb explodes in your town. 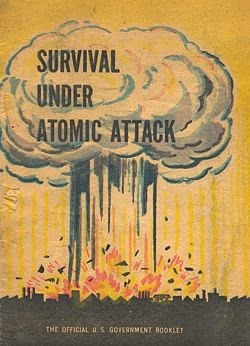 Civil Defense strategy in the 1950s was heavy on self-help and education about atomic hazards with the intention of controlling panic. As Groucho told us in 1953, "nobody else will help you" in the event of war but, nevertheless, your chances of surviving an atomic attack are excellent. Both statements were true. Today, that seems like a remarkable message to get from your government. Nobody else will help you, so you'll have to be prepared to help yourself and your family. To see how much stress the government used to place on self-help listen to this 1961 civil defense message from President Kennedy in which he states that "individual preparedness, which is beyond the providence of government, is essential to an effective civil defense." I can't imagine DHS saying that anything is beyond the providence of government. Unlike today, back then the government wanted to reduce public fear about the - then highly probable - threat of an attack, and thought the best way to do so was with education about the threat and the promotion of self-reliance.They even published handy guides full of practical ideas that were even better than the much-ridiculed duct tape and plastic sheeting recommendation DHS put out in 2003. To quote Yakov Smirnoff, "what a country!" What a wonderful time it is to be alive! Free wi-fi almost everywhere, practically a million movies to stream on Netflix, and now, candles that smell like beer. 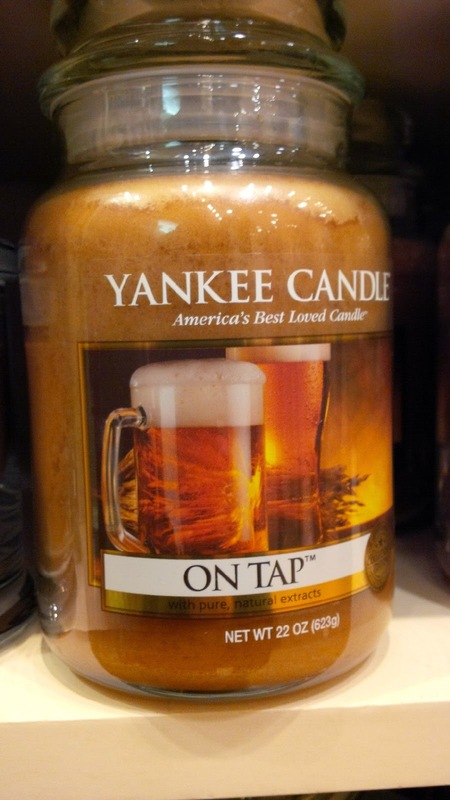 Actually, these candles smell more like you spilled beer somewhere and didn't clean it up, which I guess would get annoying after a while, but I had fun amusing myself with this great product tonight while my wife shopped at the mall. 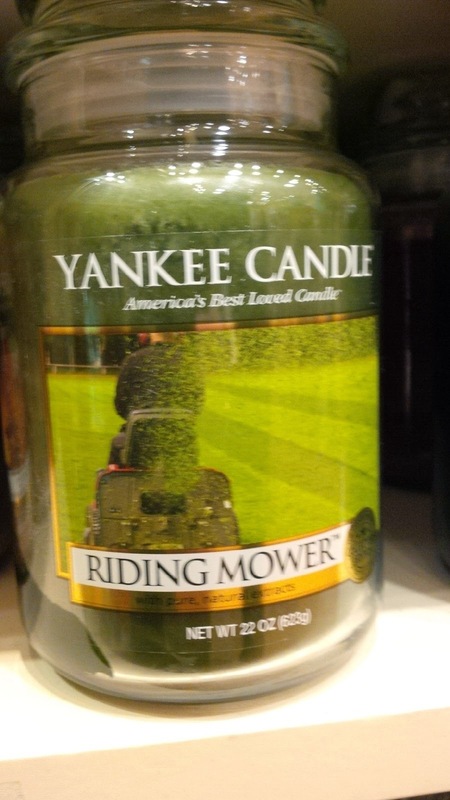 If they made one that smelled like stale pizza, and another one like unwashed socks, you could get an instant dormitory ambiance going on in your home. If you wanted that. Perhaps the most profound word on today's atrocity in Peshawar was had by the Taliban's spokesman when he rationalized the massacre of children from the families of Pakistan's Army. "We are facing such heavy nights in routine," he said, referring to the thousands of casualties inflicted by the Army on extremists in Waziristan. "Today, you must face the heavy night." It's just that simple. Inflicting suffering on the enemy is, by itself, a victory for the Pakistani Taliban. This brutal attack may well be a watershed for a country long accused by the world of treating terrorists as strategic assets. Pakistan's policy-makers struggling to come to grips with various shades of militants have often cited a "lack of consensus" and "large pockets of sympathy" for religious militants as a major stumbling-block. That is probably why, when army chief Gen Raheel Sharif launched what he called an indiscriminate operation earlier in the year against militant groups in Pakistan's lawless tribal belt, the political response was lukewarm at best. We will get them, was his message, be they Pakistani Taliban, Punjabi Taliban, al-Qaeda and affiliates, or most importantly, the dreaded Haqqani network. But the country's political leadership chose to remain largely silent. This is very likely to change now. Still, even by Pakistan and the Taliban's gruesome standards, Tuesday's attack may be the most abominable yet. And for the past few months, the Pakistani military has been conducting a ground offensive aimed at clearing out militants. The campaign has displaced tens of thousands of people. The military offensive in the region has spurred deadly retaliations. Khurrassani, the Pakistan Taliban spokesman, told CNN that the latest attack was revenge for the killing of hundreds of innocent tribesmen during repeated army operations in provinces including South Waziristan, North Waziristan and the Khyber Agency. The TTP spokesman challenged that ordinary citizens were targeted, saying that five army vehicles are routinely stationed at the school. "We are facing such heavy nights in routine," Khurrassani said, rationalizing the siege shortly before it ended. "Today, you must face the heavy night." 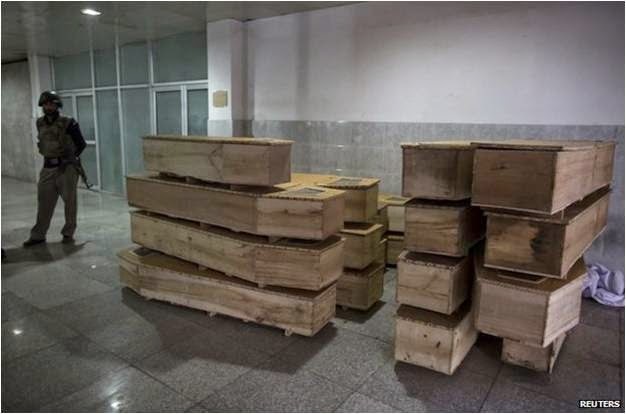 According to news reports, the Pakistan Army has killed almost 2,000 militants in North Waziristan in a massive offensive that began in June. If the Pakistani political response to that anti-Taliban offensive had been lukewarm or ambivalent before, surely that will change after today's enormous provocation. Today's attack could very well create a multi-generational war that will continue until the Pakistan Army has eradicated not just their enemy but his entire bloodline. Those must be some parsimonious fellows, up north there. A government that chooses to not spend every dollar appropriated, but instead pays down the budget deficit and cuts taxes? And to take some of that savings out of overseas security programs, of all things? Wow. See the details here. Ottawa must be a very long way from Washington DC, where we don't even have a government budget, but instead our politicians are passing, in a two day period, a 1,600-page spending bill that crams $1.1 trillion into eleven separate appropriations and uncounted - literally uncounted, since no one saw that monstrosity of a bill until the day before yesterday - goodies and give-aways to special interests. I can't speak to the wisdom of taking savings out of their overseas security programs, however, I definitely admire the Canadian government's style of fiscal management. First it was his Kenyan Aunt Zeituni appealing her deportation from the United States, and then it was his Kenyan Uncle Omar, and now it's his Kenyan - what? second cousin? maybe something else? - George Ware Obama. According to yesterday's Daily Caller (here) George W. Obama appealed an order of removal before the Board of Immigration Appeals in Arlington, Virginia, on November 6 and was denied. Quoting George W's immigration attorney, The Daily Caller says he is pursuing a request for asylum based on his alleged fear of becoming a target for terrorist retaliation against his Presidential cousin - or something - if he is sent back home. That isn't going well for him, in part because "Obama has what are called 'negative equities' on his record, including DUIs and other crimes." 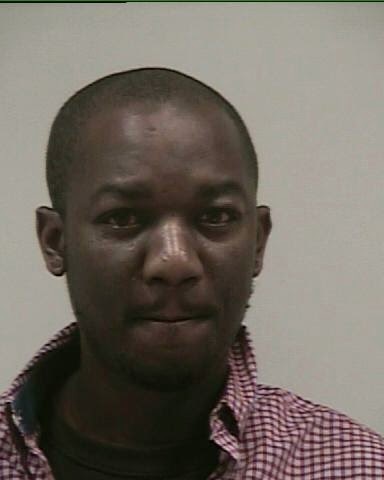 A few minutes of googling turned up three mugshots for George W., all taken in different Georgia jurisdictions in the Atlanta metro area, one for driving while intoxicated in Gwinnett County, another DUI plus driving with a suspended or revoked license in Decatur, and one for battery in Cobb County. Maybe he'll keep on appealing until he hits the jackpot and gets to stay, just like the Massachusetts branch of his extended family did. Until then, George W. resides in the Rappahannoch Regional Facility of U.S. Immigration and Customs Enforcement. We have them surrounded in their tanks! Absolutely right. We all loved the Iraqi Information Minister. 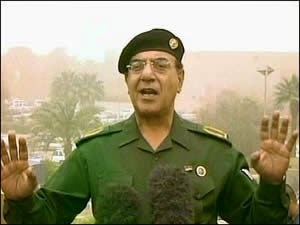 Baghdad Bob - actual name Muhammad Saeed al-Sahhaf - was the comic relief during Gulf War I. If you were anywhere much over the age of five back in 2003, you remember him, or at least Saturday Night Live parodies of him. Bob wasn't a war criminal. He wasn't among our deck of 52 most wanted Iraqis. We didn't want him for anything, really. After he was captured we allowed him to leave Iraq and live the rest of his life in peace. His life is coming to an end now, according to reports in Swedish news media. RIP Bob, and I really mean that. And, in the fullness of time, was Bob really wrong about everything? "How can you lay siege to a whole country? ... We are in our country, among our kith and kin ... Faltering forces of infidels cannot just enter a country of 26 million people and lay besiege to them! They are the ones who will find themselves under siege." Today, twelve years later, as we send yet more U.S. troops back to Iraq, who looks more prescient, Baghdad Bob or Donald Rumsfeld? 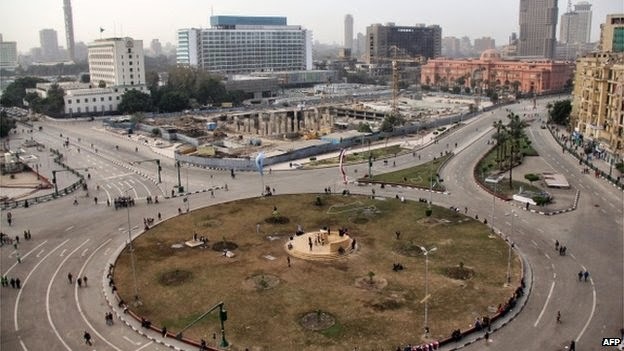 The embassies of Canada, the UK, and the U.S., are all located in Cairo's Garden City district, just south of Tahrir Square, which is the focus of civil disturbances in the city. The Canadian Embassy announced its closure through a message on its main telephone number Monday. An Egyptian security official told The Associated Press that Canadians asked for all roads around the embassy shut down and more security. He said they would increase security, but the roads couldn’t close. The official spoke on condition of anonymity as he wasn’t authorized to speak to journalists. The British Embassy closed its offices to the public Sunday and Monday. Both embassies are in Cairo’s Garden City neighbourhood. The nearby U.S. Embassy remained open. CBC's Middle East correspondent Sasa Petricic said there have been security assessments in recent years that show the Canadian Embassy is particularly vulnerable in comparison to nearby embassies, including the British and American ones. It is not set back from the street and is vulnerable on two sides, Petricic said. 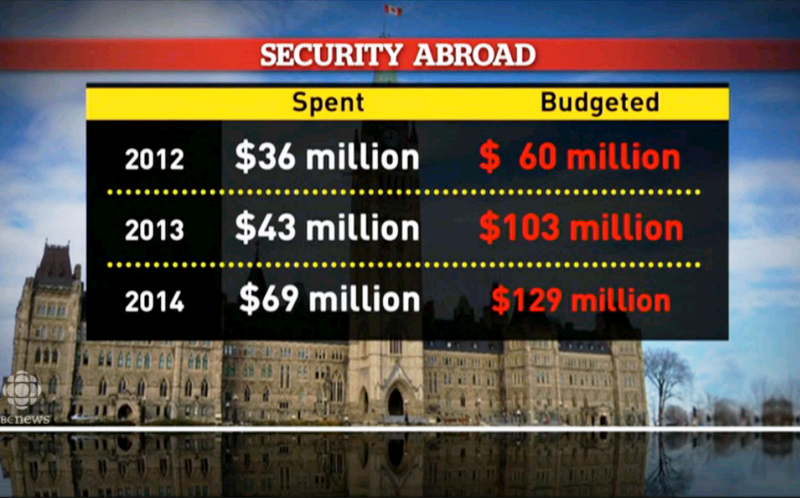 Last month, a CBC News investigation showed that the Department of Foreign Affairs failed to spend almost half of the $129 million budgeted for “strengthening security at missions abroad” in 2013-14, leaving $69 million on the table. So, the Canadian embassy is particularly vulnerable to security threats because it is "not set back from the street?" Setback! That's the foremost defining feature of those Fortress Embassies that critics of diplomatic architecture so loath. Loathsome it may be, but there is no good substitute for setback when you are trying to operate a diplomatic premise in a dangerous place. Especially when the host government is unable or unwilling to close the surrounding public streets, which is something I can understand when those streets are in the downtown core of their capitol city. Regarding that unspent budget for Canadian diplomatic security, I hope for the DFA's sake that the Canadian Parliament has no equivalent of our Representative Jason 'embassy security is my pet project' Chaffetz. The good people at Overseas Buildings Operations (OBO) had a very productive week, opening up two new Fortress Embassies, in Rabat, Morocco, and Vientiane, Laos. They are the 118th and 119th to be completed since 1999 under the Capital Security Construction Program. OBO's press releases give the bare-bones details of these new projects. The new multi-building complex provides employees with a safe, secure, and modern workplace. The campus is situated on a site of just under 8 acres, on King Mohammed IV Road, approximately 3 miles from the Rabat city center. With a project budget of $181 million, it includes a Chancery, a U.S. Marine Security Guard residence, and a service/utility building. The new multi-building complex provides employees with a safe, secure, and modern workplace. The campus is situated on a 7.4-acre site in a neighborhood south of downtown Vientiane, on the road leading to the Lao-Thai Friendship Bridge over the Mekong River ... With a project budget of $145 million, it includes a Chancery, a U.S. Marine Security Guard residence, a parking structure, and a utility building. I see the OBO press office has changed the generic new embassy description from "safe, secure, and functional" to "safe, secure, and modern." Okay, modern it is. The two new embassy complexes campuses sound very similar in size and composition, and both are located not too far from their city centers. And the prices are pretty good, too; not many new complexes campuses have cost less than $200 million lately. Let's give credit where credit is due. Kudos, OBO! I don't know why Senator McCain is so angry about the confirmation of that soap opera producer lady as Ambassador to Hungary. So she was a little nervous when he questioned her at the confirmation hearing. What did she say that was all that wrong? Senator McCain: "Recent polls have shown that most Americans can't find Hungary on a map. Why do you think this is so?" Miss Teen Bold and Beautiful: "Well, we have our strategic interests, in terms of what are our key priorities in Hungary, I think our key priorities are to improve upon, as I mentioned, the security relationship and also the law enforcement and to promote business opportunities, increase trade… uh ... Our strategic interests are to work collaboratively as NATO allies, to work to promote and protect the security, both—for both countries and for—and for the world, to continue working together on the cause of human rights around the world, to build that side of our relationship while also maintaining and pursuing some difficult conversations that might be necessary in the coming years." That's 99 percent straight from the hearing transcript. Our strategic interests with the Hungary and everywhere like such as are clearly in good hands. Not to mention the security of both our countries and human rights around the world so that we will be able to build up our future for our children.